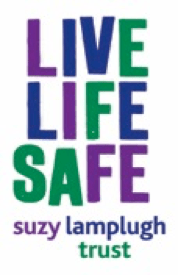 The Suzy Lamplugh Trust, in partnership with Peoplesafe, are calling for nominations from throughout Scotland for the National Personal Safety Awards 2016. These awards recognise people or groups who have promoted personal safety in an exceptional way. Previous winners of such an award include Ann Moulds who won for being an ‘Inspiring Individual’ for her work with stalking in Scotland. A previous victim of stalking, Ann has tirelessly campaigned for a change in legislation surrounding stalking to improve protection for victims. The deadline for nominations is 5pm on 11 February 2016. Awards will be given in nine categories this year, including two new awards: the Peoplesafe Personal Safety Champion Award and the Safer Campus Campaign Award. A full list and a nomination form are available on the trust’s website. “We have always been inspired by the breadth and depth of the different projects nominated for awards, all of which are making communities and workplaces safer places,” added Rachel. The awards will be presented in London on 17 March 2016 and forms can be downloaded from www.suzylamplugh.org from 14 January.